News4’s Kimberly Suiters will be walking down the aisle today… of the Washingtonian Bride & Groom Unveiled. 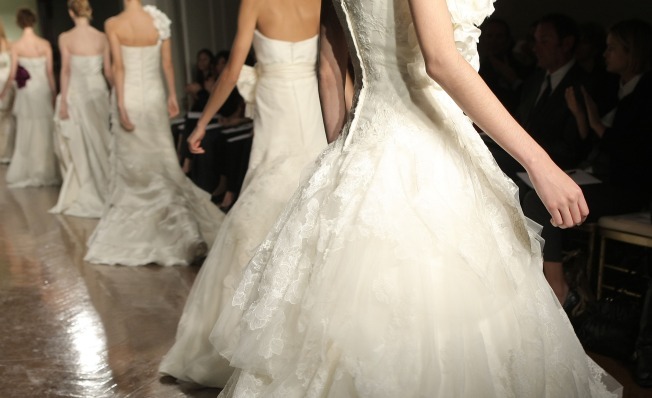 She'll be emceeing the third annual wedding showcase and runway show will feature new styles from Vera Wang. This may be the perfect place for brides-to-be and their future spouses to get ideas for their very own wedding day. Guests will get to personally see portfolios from experienced florists, planners, caterers, makeup and hair stylists, and much more. Oh, and don’t forget the food. As you check out vendors, guests can enjoy cocktails and cuisine by the Park HyattWashington D.C.’s executive chef, Brian McBride, and wedding desserts by pastry chef Peter Brett. You can also enter to win a trip to Tahiti. The Washingtonian Bride & Groom Unveiled will be held 11 a.m. Sunday at the Park Hyatt Washington D.C. located at 1201 24th St. NW.